Peru's Tambopata-Candamo Reserve is located in the department of Madre de Dios, just half an hour's plane ride from Cusco. 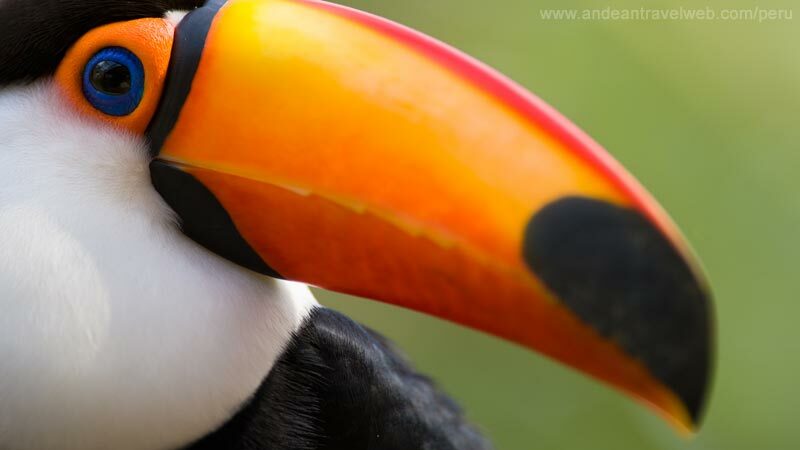 In this amazing biological reserve, three different ecosystems converge together: the Amazonian plain, the eastern slopes of the Andes and the Pampas ecosystem. This environmental diversity had allowed at least 11 different types of forests to co-exist leading to an incredible biodiversity. One of the highlights of the reserve is the Colpa de Guacamayos which is one of the largest natural clay licks in Peru. 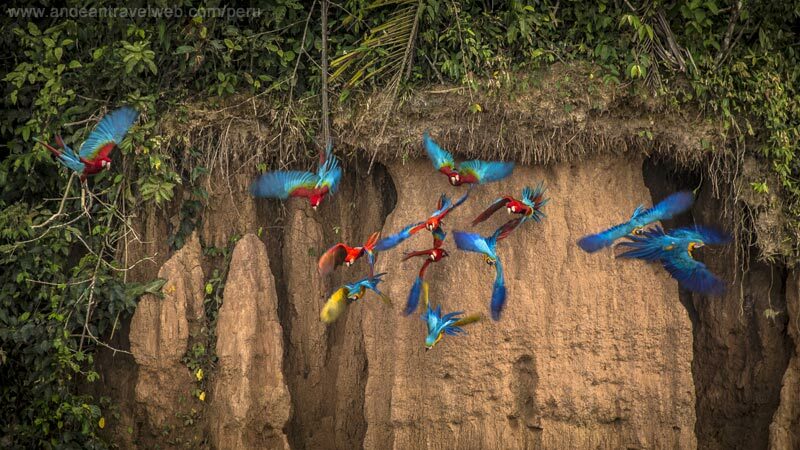 These copper-colored cliffs attract thousands of macaws and parrots each day who come to feed on the mineral salts contained in this area. 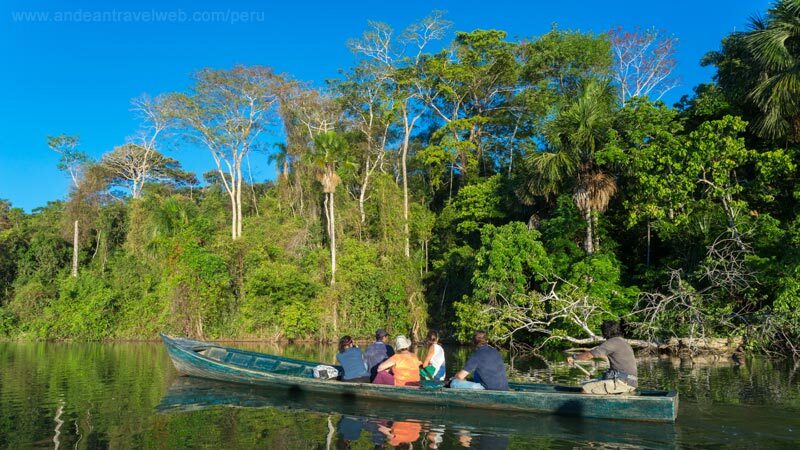 The Tambopata-Candamo Reserve can only be accessed by boat, usually from the town of Puerto Maldonado the capital of the Madre de Dios department. There are daily flights from Puerto Maldonado to and from Cusco usually arriving and departing early in the morning. When booking a tour with a jungle lodge check to find if the flight is included. In most instances the tours offered start and finish in Puerto Maldonado although transfers to and from the airport for connecting flights are included. There are several airlines operating this route including Latam airlines www.latam.com Avianca www.avianca.com and StarPeru www.starperu.com . If possible, purchase these flights as part of a package trip from the various tour operators. In this way if the flight from Cusco is cancelled you are more likely to get a refund for your accommodation. Check the contract first. Although 2 day / 1 night packages are available, a minimum stay of 3 days / 2 nights is recommended. Even with a 3 day trip the first morning is taken up just getting from Cusco to the lodge. A guided trek/tour into the jungle is usually arranged for the afternoon of the first day and again on the second day. You will probably leave the lodge before sunrise on the third day to make the connection with the flight back to Cusco (about 9am). So you can see even a 3 day trip only gives you a full 1.5 days of tours in the jungle. If you are a keen birdwatcher then you are best to consider staying a few extra days so you can do you own thing. During your stay in the lodge you will encounter a large variety of trees and plants as well as seeing many different insects and birds. However you chances of seeing wild mammals is quite low apart from the occasional sighting of monkeys. Don't go with high expectations of seeing the elusive jaguar or tapir, although they have been seen by some lucky visitors. Many lodges have a collection of semi-tame animals that frequent the lodge looking for food which is often left out for them.